LeRoy claimed to have been the first in the world to project a film to an invited audience at the Riley Bros optical shop, New York, in February 1894, more than a year before the generally accepted 'first screening' by the Lumieres in Paris of their La Sortie des Usines, showing workers leaving the Lumière factory at Lyon. Born near Bedford, Kentucky, LeRoy's father was (ironically) from Lyon. The young LeRoy was apprenticed to a New York photographer at sixteen, and some years later, hearing of Henry R. Heyl's motion projections of posed photographic sequences, made a crude motion picture viewing device for animating two hundred posed shots of a waltz, taken on glass plates. 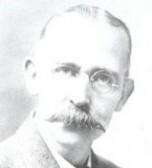 His later claims were: that in 1893 he obtained film from Wordsworth Donisthorpe in England and built a projector, with gripper-roller movement, to show it; after a private preview of an Edison Kinetoscope in December 1893 he adapted his machine to take perforated film and on 5 February 1894 he projected two Kinetoscope films - Washing the Baby and The Execution of Mary Queen of Scots, to an audience of about twenty-five at Riley's optical store, 16 Beekman Street, New York; and that he projected films to a paying public early in 1895, from which a handbill dated 22 Feb, advertising 'Le Roy's Marvelous Cinematographe' at the Opera House (Clinton, New Jersey) exists. 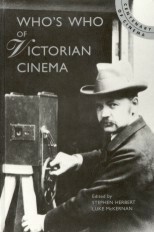 It has been pointed out that the two Kinetoscope films cited were produced after the 1894 date claimed for the show, and some researchers have suggested that the handbill is a fake, printed years later to support his claims. LeRoy did not patent his projector, and there are no contemporary references to either of the last-mentioned events. Supporters have suggested reasons for each of these apparent difficulties, but taken together they cast significant doubts on the authenticity of LeRoy's claims. Although certainly around at the dawn of film projection, he inflated and pre-dated his own achievements.